Concerns about the proliferation of misinformation online intensified in the run-up to national elections in March 2018. In January 2018, the government announced the launch of an online portal to report “fake news” to the postal police (see Media, Diversity, and Content Manipulation). In November 2017, parliament swiftly approved a provision that would require telecommunications operators to retain telephone and internet data for up to six years (see Surveillance, Privacy, and Anonymity). While Italy’s internet environment remained free during the past year, misinformation and altered images thrived on social media ahead of the 2018 elections. Italy’s internet penetration lags behind that of many other European countries, at around 65 percent of the population. Italy was the first European country to present a crowdsourced “Declaration of Internet Rights” in July 2015. The nonbinding document includes provisions that promote net neutrality and establishes internet access as a fundamental right. While generally seen as a positive development, the text has also drawn some criticism for inadequately addressing issues such as anonymity, encryption, and data retention. Italian authorities do not generally engage in political censorship of online speech, and, as in previous years, no bloggers or social media users were imprisoned during the coverage period. However, defamation remains a criminal offense in Italy, and civil libel suits continue to threaten online writers. The debate about online disinformation and fake news was particularly lively in Italy. Politicians across the political spectrum have publicly discussed possible solutions to regulate the spread of disinformation on the internet. The debate intensified in the months leading up to the national elections held on March 4, 2018. In January 2018, former interior minister Marco Minniti announced a new initiative of the National Police that gives citizens the opportunity to report fake news through the postal police’s website. The regulation of hacking powers for law enforcement investigations has been a controversial topic. In June 2017, parliament approved a law mandating the government to regulate the use of malware for hacking purposes. Concerns have also surrounded Italian companies’ involvement in the cyberweapons trade, and the lack of transparency in the granting of export licenses. In November 2017, parliament swiftly approved a regulation on data retention, which requires telecommunications operators to store telephone and internet data for up to six years. The provision had been added into a transposition law following a European Council directive on the “safety of lifts” in July 2017. There was virtually no public or parliamentary debate on the regulation, despite civil society protests and criticism from the Italian Data Protection Authority and the European Data Protection Supervisor. Since the 1990s, the Italian government has supported the internet as a catalyst for economic growth, increased tourism, and greater government efficiency. This attitude continued to prevail in 2018, though aspirations for a fully connected Italy remained unfulfilled. Significant geographical differences in internet penetration persist across the country, with southern regions such as Calabria lagging behind. The internet is particularly popular among young people, with over 92 percent of people between 15 and 24 surfing the web.3 Some 65 percent of Italians connected to the internet in 2017, and 48 percent surfed the web on a daily basis. The number of households accessing the internet via broadband improved from 67 percent to 70 percent in 2017. In 2016, a “digital transformation team” led by Amazon vice president Diego Piacentini and comprised of leading figures in a number of internet-related sectors, was formed to lead the digital transformation process of Italian public administration, among other goals.7 The team’s three-year mandate is expected to end in 2019. In the spring of 2018, the Italian Antitrust Authority fined Telecom Italia 4.8 million euros (US$5.6 million) for misleading advertising regarding its broadband service in underserved areas. According to the authority, Telecom Italia has omitted relevant information about its plans and their limitations.14 In a statement, the company called the decision “groundless” and stated that it intends to file an appeal with the Regional Administrative Court of Lazio15. The main regulatory body for telecommunications is AGCOM, an independent agency that is accountable to parliament. Its responsibilities include providing access to networks, protecting intellectual property rights, regulating advertisements, and overseeing public broadcasting. The majority party in parliament appoints AGCOM’s president. Another important player governing the ICT sector is the Data Protection Authority (DPA). Established in 1997, the DPA is tasked with supervising compliance with data protection laws by both governmental and nongovernmental entities. It also has the authority to ban or block “processing operations that are liable to cause serious harm to individuals.”24 It is generally viewed as professional and fair in carrying out its duties. The Italian authorities do not engage in significant blocking or filtering of internet content, although measures to block illegal materials without a court order have worried digital rights activists. Italian politicians have made increasing demands to tackle the proliferation of hate speech and fake news online, a concern that intensified in the run-up to national elections in March 2018. In May 2017, parliament approved a new cyberbullying law after several high-profile cases of cyberbullying came to light.38 The bill had raised concerns for giving users too much latitude to remove content from social media sites.39 Minors over the age of 14 or their parents can demand content hosting sites to remove damaging content within 48 hours of a request.40 If no action is taken, victims can refer their case to a privacy guarantor. Blogging is very popular in Italy, though television remains a leading medium for obtaining news. Most policymakers, popular journalists, and figures in the entertainment industry have their own blogs, as do many ordinary citizens. Social-networking sites, especially Facebook and Twitter, have emerged as crucial tools for organizing protests and other mass gatherings such as concerts, parties, or political rallies. Content hosts may exercise some self-censorship regarding content that could prove controversial or create friction with powerful entities or individuals. Online writers also exercise caution to avoid libel suits by public officials, whose litigation—even when unsuccessful—often takes a significant financial toll on defendants. Individuals writing about the activities of organized crime in some parts of the country may be especially at risk of reprisals. In March 2018, the magazine Famiglia Cristiana deleted an article about the seizure of a Spanish ship carrying refugees in Sicily by the Italian Navy, possibly in violation of international law on asylum.49 After 24 hours, an altered version of the article was published online,50 and the original author withdrew his name from it. The mention of the Italian Navy was dropped from the title, and mentions of its involvement in the case were modified. Some restrictions on internet content that are uncommon in other Western European countries remain in place in Italy. Drawing on a 1948 law against the “clandestine press,” a regulation issued in 2001 holds that anyone providing a news service, including on the internet, must be a “chartered” journalist within the Communication Workers’ Registry (ROC) and hold membership in the Italian National Press Federation.51 With the exception of one case from the late 2000s, these rules have generally not been applied to bloggers and, in practice, millions of blogs are published in Italy without repercussions. Nonetheless, many people who create websites on a range of issues (including scholarly research) still collaborate with registered journalists to protect themselves from potential legal action. Italian civil society organizations have actively campaigned on transparency and social issues, with a particular focus on open data and freedom of information initiatives, with some results. In 2017, as the #MeToo movement gained momentum, Italy had, to a smaller extent, its own emerging movement seeking to tackle pervasive sexism in Italy. The Italian movement used the hashtag #quellavoltache (that time that). While the movement stirred conversation online and in public forums,53 it did not lead to a sustained debate in parliament or the country’s other institutions. Violations against users’ rights are uncommon in Italy, although cases of legal intimidation and threats against online writers are occasionally reported. Criminal defamation laws remain a grave threat to online journalists and social media users, particularly in the ambiguous form they have been applied to the online sphere. Privacy concerns have also surrounded legislative moves to regulate hacking for the purpose of criminal investigations, and a recent regulation extending the period in which ISPs must keep users’ traffic records. 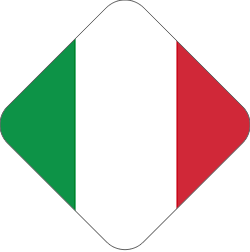 As a signatory to the European Convention on Human Rights and other relevant international treaties, freedoms of speech and the press, as well as the confidentiality of correspondence, are constitutionally guaranteed in Italy.54 Italy was the first European country to adopt a crowdsourced “Declaration of Internet Rights” in July 2015. The nonbinding document includes provisions that promote net neutrality and establishes internet access as a fundamental right. While generally seen as a positive development, the text has also raised some criticism for falling short on certain issues like such as anonymity, encryption, and data retention. Despite the 2013 Snowden revelations and reports of eavesdropping by the British and American governments’ intelligence organizations on Italian phone calls and internet traffic,60 Italy has not engaged in a thorough public debate on surveillance. Italian lawmakers have made several attempts to regulate hacking in recent years.65 In March 2017, the Senate voted on a bill proposed by Justice Minister Andrea Orlando to reform the criminal justice system.66 Approved in June 2017, the law mandates the government to regulate hacking for the purpose of criminal investigations. Organizations such as Privacy International have contended that the law fails to meet the standard of legality, necessity, and proportionality, and does not establish sufficient minimization procedures, effective oversight, or safeguards from abuse.67 Another proposal known as the “Trojan Bill” sought to establish a more robust system for authorizing remote and covert hacking.68 The bill was ultimately withdrawn in the aftermath of the March 2018 elections. Cases of intimidation or physical violence in response to online activity are reported sporadically, although individuals who expose organized crime activities in some parts of the country may especially be at risk of reprisals. In August 2015, the parliamentary anti-mafia committee voiced concerns about the high number of “acts of hostility” against investigative journalists by organized crime groups. This included “traditional methods” of intimidation such as burning cars, verbal threats, and sending bullets through the mail, but also increasing legal threats.76 According to the interior minister, almost 200 journalists received police protection in 2017.77 Ossigeno per L’Informazione also recorded over 423 instances of Italian journalists and bloggers subjected to threats in 2017.78 It is likely that many other cases are not publicly reported. The country’s official cybersecurity strategy has been in place since December 2013.79 Common forms of technical attacks in Italy include defacement or distributed denial-of-service (DDoS) attacks against websites as a form of political protest. Other cyberattacks—particularly against banks, government institutions, and business websites—remain a problem. 57 Organization for Security and Cooperation in Europe Representative on Freedom of the Media, Libel and Insult Laws: A matrix on where we stand and what we would like to achieve, (Vienna: OSCE, 2005), 79, http://www.osce.org/fom/41958. 61 Although it is difficult to determine the real number of people affected by wiretaps (estimates range from 25,000 to over 130,000), many individuals who are caught up in wiretaps have no incriminating connection to the main target of the eavesdropping. The current law stipulates that such peripheral communications cannot be transcribed and any recordings should be destroyed right away, though this is not always carried out in practice. Thus it may happen that some exchanges are recorded and leaked to the media. This is the problem that the proposed bill on electronic surveillance was meant to address. 72 M. Calamari “Lo SPID è nato morto?”, Punto Informatico, April 21, 2016, http://bit.ly/2fQLhso.